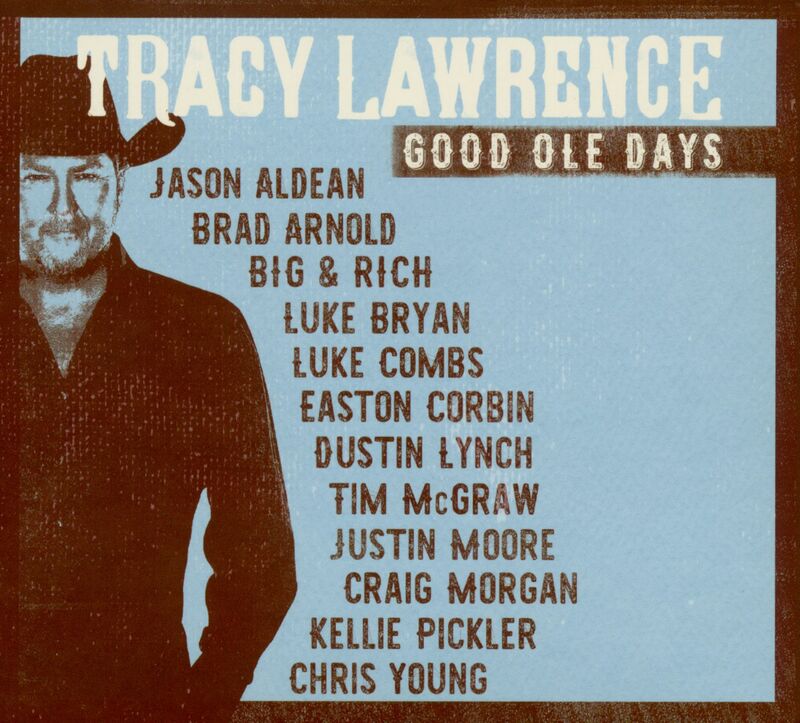 Tracy Lawrence's Good Ole Days celebrates the country legend's indelible mark on country traditionalism with an album of 11 duets pairing a selection of his most iconic hits with some of country and rock's contemporary superstars and newcomers. This collaborative collection includes guest appearances by Tim McGraw, Jason Aldean, Big &, Rich, Luke Bryan, Luke Combs, Easton Corbin, Dustin Lynch, Tim McGraw, Justin Moore, Kellie Pickler and Chris Young. 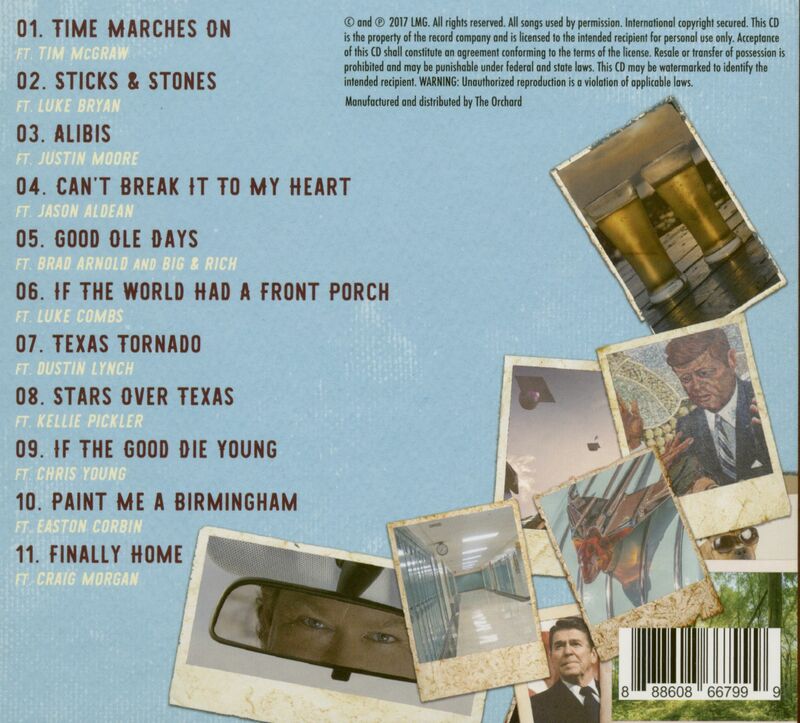 3 Doors Down leader Brad Arnold makes his country music debut on the title track 'Good Ole Days,' which is the second of the two original songs. Whether it is celebrating his iconic hits with fresh new tracks or writing material for his next studio record, Lawrence knows if he stopped today he'd already have cemented his place in the pantheon of country-music greats. 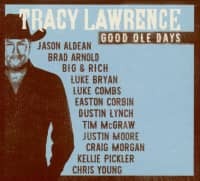 Since bursting onto the country music scene in 1991 with his debut single, "Sticks and Stones," Tracy Lawrence has established himself as one of the most popular country singers of the 1990s. In 1991 he was said to be the tenth most programmed artist on U.S. radio, across all formats. But Lawrence's career—and his life—almost ended before his career began. Just as his album Sticks and Stones was completed, the singer was shot four times in a holdup in the parking lot of the Quality Inn Hall of Fame, adjacent to Nashville's famed Music Row. Fortunately, his wounds were not critical. With "Sticks and Stones" Lawrence became the first artist on ATLANTIC'S country roster to score a #1 hit. Subsequent singles—including "Today's Lonely Fool," "Runnin' Behind," and "Somebody Paints the Wall"—cemented his position as a newcomer to watch by the end of 1992. In 1993 he was named Top New Male Vocalist by the ACM. In the midst of his success, in 1994, Lawrence experienced a brief run-in with the law when he fired a handgun during a dispute with some teenagers in Wilson County, Tennessee. Admitting to overreacting, Lawrence cited his earlier experience at gunpoint for prompting him to use a weapon. He was charged with reckless endangerment, possession of a firearm. Lawrence was granted pretrial diversion (a form of probation) in December 1994, meaning that the charges would be suspended for a year, and if he had no further brushes with the law, the case would be dismissed and records expunged. With his court battles behind him, Lawrence scored with fans and critics alike with songs including "Can't Break It to My Heart," "If the World Had a Front Porch," "Texas Tornado," "Time Marches On," and numerous others. He also took over his own career management, opened a music publishing company, and began producing records for other artists as well as coproducing his own albums. Early in 1997, shortly after the release of his album The Coast Is Clear, Lawrence began production duties for new-comer Rich McCready. At the time, Lawrence was also co-producing ten of the twenty cuts for a soundtrack for a theatrical production, The Civil War. In January 1998 Lawrence was convicted of spousal abuse, for which he received a misdemeanor and fine. As a result, Atlantic has suspended him from recording with the label until, as Rick Blackburn stated officially, his "personal matters reach a resolve." Customer evaluation for "Good Ole Days (CD)"